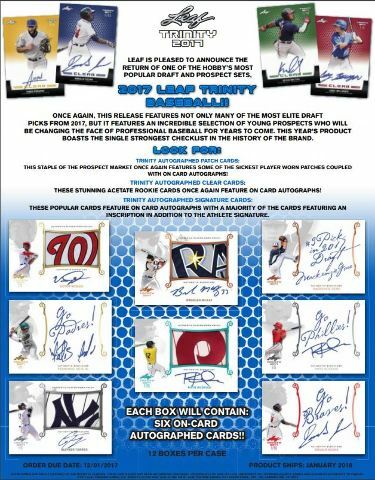 Leaf Is Pleased To Announce The Return Of One Of The Hobby's Most Popular Draft And Prospect Sets, 2017 LEAF TRINITY BASEBALL!! 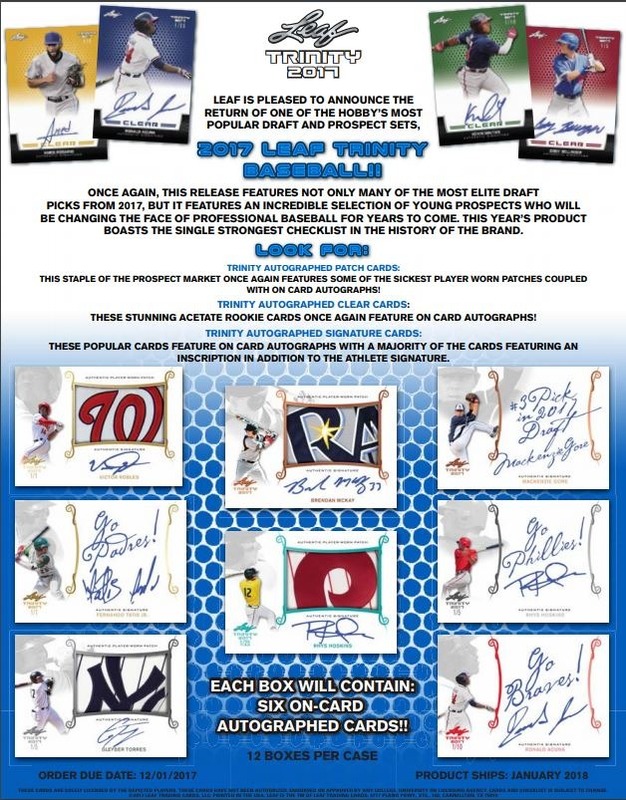 Once Again, This Release Features Not Only Many Of The Most Elite Draft Picks From 2017, But It Features An Incredible Selection Of Young Prospects Who Will Be Changing The Face Of Professional Baseball For Years To Come. This Year's Product Boasts The Single Strongest Checklist In The History Of The Brand. This Staple Of The Prospect Market Once Again Features Some Of The Sickest Player Worn Patches Coupled With On Card Autographs! These Stunning Acetate Rookie Cards Once Again Feature On Card Autographs! 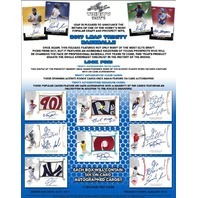 These Popular Cards Feature On Card Autographs With A Majority Of The Cards Featuring An Inscription In Addition To The Athlete Signature.